Reading comprehension questions are one of three question types found in the Verbal Reasoning section of the GRE. They’ll make up about half of the questions you see in Verbal Reasoning. These questions are designed to test your ability to understand, analyze, and reflect on different passages. Each GRE reading comprehension question is based on a passage. These passages will be one to several paragraphs long. Most of these questions are standard multiple choice, but there will also be a few that are multiple choice with more than one correct answer, as well as some questions that ask you to select a specific sentence in the passage that meets a certain description. It can take awhile to develop strong reading comprehension skills, but they’re a must if you want to get a high score on the Verbal Reasoning section of the GRE. Luckily, it’s easy to strengthen your reading comprehension skills and begin preparing for these types of questions. Below are the three key things you need to do for GRE reading practice. It would be pretty much impossible to improve your reading comprehension skills if you’re not actually reading. Regularly reading will help you become more used to different types of writing and help you improve your critical reading skills. But what types of things should you be reading? It’s not like reading the back of the cereal box every morning is going to really help you on the GRE. You want the pieces you read to be similar to the passages you’ll see on the GRE, so the best reading materials to help you prepare for reading comprehension will cover a variety of topics and be a similar level of difficulty as university and grad school-level texts. Reading comprehension passages can focus on any of the following topics: physical sciences, biological sciences, social sciences, business, arts and humanities, as well as everyday topics. Most, but not all, will be academic texts. Perhaps the best resources to use when preparing for GRE reading comprehension questions are academic textbooks. These textbooks can be on any topic (and it’s best to use a variety in order to build thorough reading comprehension skills). University-level and graduate-level textbooks are best. If you have some of your old textbooks lying around you can use those, and many libraries have a selection of textbook as well. Don’t think you need to read the book all the way through. It’s much better to read a few pages at a time and think critically about them than it is to rush through chapters without doing any analysis of what you’re reading. Newspaper articles are generally written at a lower difficulty level than academic texts, but they can still be a useful study resource, particularly if you’re just beginning your studying and want to work your way up to more difficult pieces of writing. 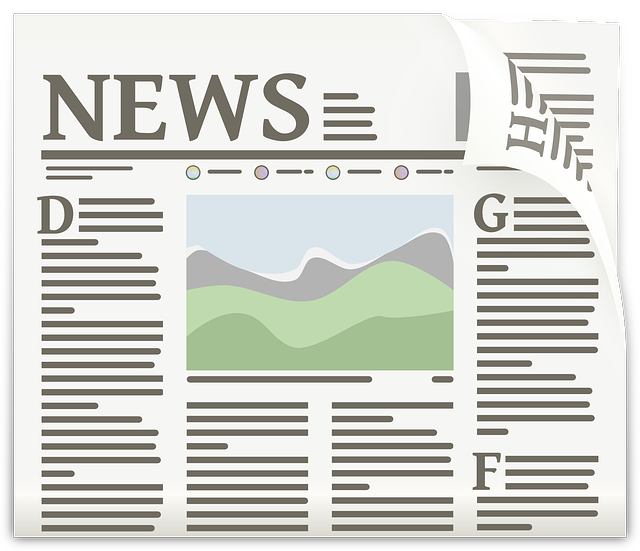 Newspaper articles are typically short, making them easy to read and analyze in one sitting. Additionally, many newspaper articles, particularly those from the opinion or editorial sections, consist of the author expressing a particular viewpoint. Since many reading comprehension questions focus on analyzing author viewpoints and the evidence they use to support your view, reading these articles can give you great practice in that area. Some popular newspapers you may want to look at include the New York Times, the Wall Street Journal, and the Washington Post. All of them post many or all of their articles online in addition to printed copies. If you’re looking for more of a challenge, reading research papers is a great way to prepare for GRE reading comprehension questions. Some of the passages you encounter in Verbal Reasoning will likely have some tricky jargon, and reading research papers will help you become used to analyzing a paper even if you don’t understand every word. Peer-reviewed articles published in academic journals are the best resource for this. If you’re a current student, your school likely gives you access to a large number of academic papers. Another resource anyone can use is Google Scholar. You can enter any word or phrase into the search bar and get a list of results, all from academic journals or other research publications. While it’s important to read a variety of material, that’s just the first step for preparing for reading comprehension questions. While you’re reading, you want to be sure that you’re actively thinking about main ideas, author viewpoints, differing opinions, and more. It can be easy to get into the habit of just dragging your eyes across the page, so this is something you should actively work on in order to make it a habit. What evidence does the author use to support his/her viewpoints? Are there any contrasting viewpoints? How do they differ? The more you do this, the easier it’ll be and the better you’ll become at it, which means you’ll be more confident and prepared for reading comprehension questions on test day. 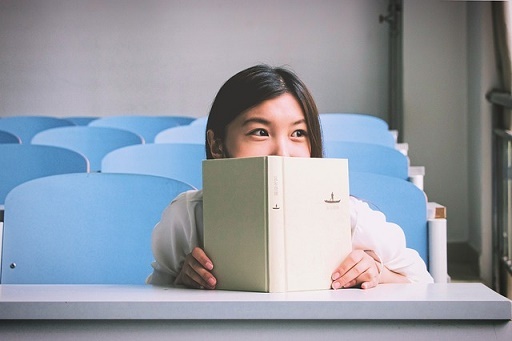 The third major thing you should be doing to help prepare for reading comprehension questions is to take regular GRE reading comprehension practice tests and quizzes. Answering high-quality practice questions will help you become more familiar with how questions will be worded on the GRE and the types of things you’ll be asked questions on. You can use this information to tweak your studying and make it more effective. The next section of this guide goes over the best reading comprehension practice resources you should use. Below is a list of the eight best resources for GRE reading comprehension practice tests. There aren’t a lot of high-quality resources that include only reading comprehension questions, so most of these resources include practice for other Verbal Reasoning question types and/or practice questions for other sections of the GRE. PowerPrep II is one of the best GRE study materials available, and, as an added bonus, it’s free! Simply download the software, and you’ll have access to two complete practice GREs (which will include reading comprehension questions) as well as overviews of each section of the exam. The exams are very similar in format to the real GRE which is great for giving you an accurate sense of what expect on exam day. You have the option of either taking the exams timed or not timed, and answer explanations are included. Two PDFs of official practice GREs are available. These exams are also a high-quality resource; however, since they are only PDFs, they won’t be as close to the real GRE format as the PowerPrep tests, although they’ll still contain reading comprehension questions for you to use. As an added note, some of the questions from these practice tests overlap with the questions on the PowerPrep tests. Since the PowerPrep tests are the better resource, complete those first and use these as supplements. 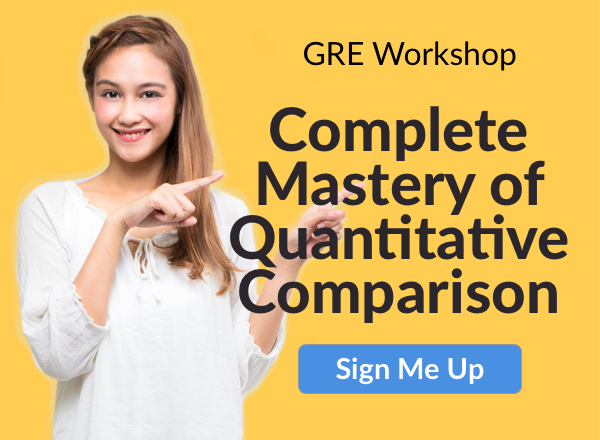 A third resource for complete, official practice GREs is to use GRE exams from the old (pre-2011) version of the test. They can be found in the old GRE prep book ETS uploaded to their website. This is an unofficial practice resource, but it’s still high-quality. There are several practice tests for both Verbal Reasoning and Quantitative Reasoning. The Verbal Reasoning ones will have the reading comprehension practice questions. Kaplan has another high-quality unofficial practice test. To access this test, you’ll need to set up an account with Kaplan and add the item to your cart and checkout, but don’t worry, you won’t need to pay or enter any payment information. After you do that, you’ll have several weeks to access your free test from your Kaplan account homepage. It’s a complete practice GRE, so there will be many questions besides reading comprehension, but a nice feature of this test is that, after you finish it, you’ll get an in-depth analysis of how well you did in different areas and question types, so you can focus specifically on your reading comprehension results. This prep book is one of the best out there for Verbal Reasoning practice, including reading comprehension questions. It breaks down the different types of questions you’ll see, explains how you should look at passages, and includes lots of practice problems. This makes it a great resource for people who are just beginning their studying and/or don’t know how to approach reading comprehension questions since it explains how to approach them before going into practice problems. It also goes over the other sections of the GRE and includes two complete practice tests if you’re looking for more thorough prep. If you’re looking for a resource that lets you do some quick GRE reading comprehension practice on your phone, Ready4GRE is a great app to use. This free app is available for both iPhone and Android. There are two structures you can follow. The first, called Smart Guide, has a step-by-step structure where you practice one lesson then, once you’ve passed it, move onto the next lesson in the program. The other structure, Browse Topics, let’s you move from lesson to lesson at any time and in any order. The Browse Topics structure lets you jump straight into practicing for reading comprehension. Additionally, this app gives you your estimated Verbal and Quant scores, has over 600 vocabulary flashcards, and measures your strengths and weaknesses in each section. Finally, check out our four top tips and strategies to achieve your best score on reading comprehension questions. Work on each of these strategies throughout your GRE reading practice to make sure they’re second nature on test day. As mentioned above, it’s important to read regularly and on a variety of topics. However, your GRE reading practice can’t just be moving your eyes across the page without pausing to think about what you just read. You’ll need to be actively reading in order to really improve your skills and be prepared for reading comprehension questions. 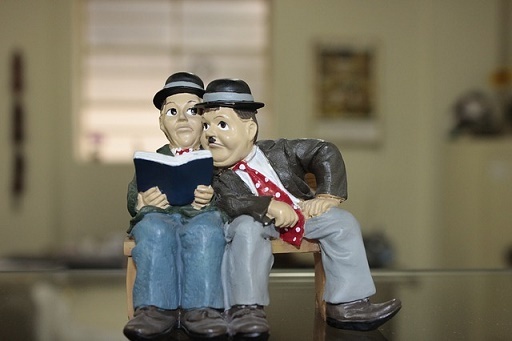 To read actively, pause every few paragraphs and think about what you’ve just read. What points is the author trying to make? How are they supporting those statements? Are there any words you aren’t sure of? Try to figure out what they mean from their context, but if you still don’t know, look them up. Forcing yourself to really think about what you’re reading will improve your critical reading skills and make the reading comprehension questions easier to understand and answer on test day. 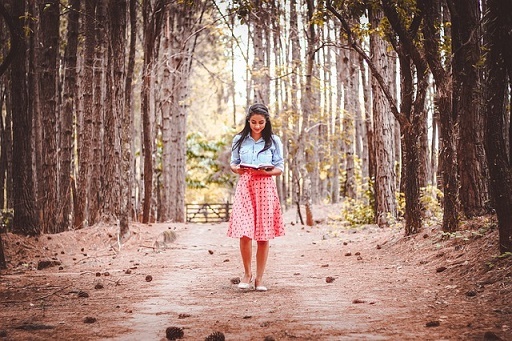 You’ll have to do more than read while walking in order to be an active reader. Well before test day, you should figure out your preferred method for reading passages and answering questions on them. Some people prefer to read the passage all the way through and then look at the questions, while others skim the questions first so they know what to look for then begin reading the passage. Some people like taking notes while reading in order to keep track of important points while others feel that taking notes takes too much time. For more information on how to use each of these methods, check out our guide on how to approach GRE passages. 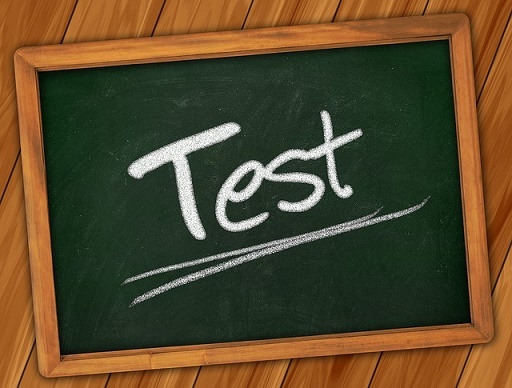 Every person has their own preference, and in order to find out yours, take practice tests using different methods. When you’ve finished, think about how you felt during the test and how well you scored. Which method helped you get a higher score? Did you find one made you feel more comfortable or confident than the other? Did you still have enough time to answer all the questions? Think about which one you prefer, and follow that method on exam day. While you’re taking the GRE, you may feel like you should limit the number of times you look back at the passage in order to save time. While it’s true that constantly re-reading the passage will likely mean you don’t have much time to answer all the questions, that doesn’t mean you can’t or shouldn’t glance back at the passage if you feel like you need to. Regardless of which method you use for reading passages and answering questions, you should feel comfortable taking a quick look back at the passage in order to confirm an answer choice or find a detail you missed. Remember, you’re not expected to memorize the passage the first time you read it, so don’t be afraid to go back to it during the test. A strong vocabulary is a key part of doing well on Verbal Reasoning. While you’re reading passages, you’ll likely come across at least one word you won’t know. Not knowing what even just one word means in a passage can make it difficult for you to understand its meaning and main points, so expanding your vocabulary should also be a high priority. Reading regularly will help improve your vocabulary, and we’ve also created flashcards for the 357 most important vocab words you need to know for the GRE. Each word includes a definition, and the guide gives tips on how and when to study vocab for the GRE. Reading Comprehension questions on the Verbal Reasoning section of the GRE can be challenging, especially if you haven’t studied them a lot. Therefore, you want to be well-prepared on test day. To develop the strong critical reading skills you need to do well on these questions, you should make it a goal to read widely. Textbooks, journal articles, and newspapers are all great sources of reading. GRE Reading Comprehension practice tests and quizzes are also an important part of your studying. Be sure to use high-quality resources to ensure that you’re well prepared for what the actual GRE will be like. Other strategies for GRE Reading Comprehension practice include regularly reading actively, figuring out the best way to approach passages, not being afraid to look back at passages during the exam, and expanding your vocabulary. If you’re looking for tips on how to do well on other Verbal Reasoning questions, check out our guide to the best Verbal Reasoning practice you can get! Learn more about what other sections of the GRE cover so that you’ll be fully prepared come test day.